2018 Autonomous Vehicles Readiness Index | Econsult Solutions, Inc. Autonomous vehicles are the future of global transportation, offering many economic and social benefits for society. Already piloted in several countries, including the US and Singapore, AVs could eliminate 90-95 percent of road accidents caused by human error as well as reduce road pollution. But are countries ready for an AV-driven future? 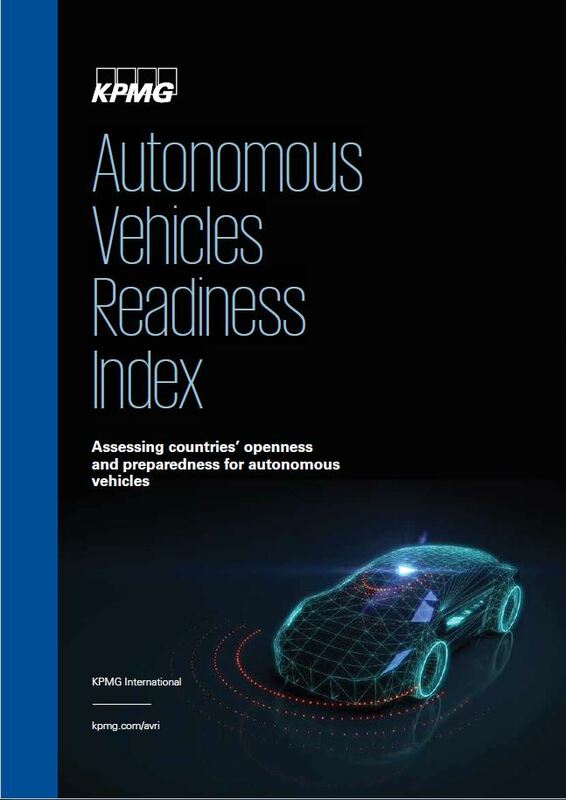 KPMG commissioned ESI ThoughtLab (formerly Roubini ThoughtLab) to score and assess various countries around the world on their readiness for AVs and develop the Autonomous Vehicle Readiness Index (AVRI), based on four main “pillars”: policy and legislation, technology and innovation, infrastructure, and consumer acceptance. Our research revealed that the Netherlands is the top-ranked country in AV readiness, followed by Singapore, the United States, Sweden, and the United Kingdom. In addition to an analysis of the top 20 countries, our report details how governments can prepare for the inevitable implementation of autonomous vehicles.